Among other things, this page is the hub for articles on ‘what was life like in…’ that are a useful starting point for research. The topics have a downloadable PDF and a general wander round the site is well worth it too! I follow Sue on Twitter @SueWilkesauthor and she always has an ear to the ground for interesting historical snippets. She is an author and creative writing tutor who specialises in family history, social history and literary biography. On her blog she gives a taste of what she is working on or on other history topics that have caught her attention. Well worth a visit for ideas and info. This site has info on the middle ages in general, and links on the page above take you to accounts of daily life for people at a range of different social levels. Ignore the poor images for the links, and the fact the site is for children; there is some good information here on the day to lay life of early colonialists in America. I’m sure there’s a fair few people replying ‘when they’re not writing, that’s when’. If we’re sticking with that definition then I must hold my hands up and confess: I haven’t been one since last December. Of course I feel madly guilty about this and shall commence thrashing myself with a cat o’ nine tails and dressing only in sack cloth and ashes. Oh, hold on…I don’t. And I shan’t. The problem, you see, is that due to the unsurprisingly garrulous nature of writers, writing is one of the most discussed and written about professions. You can always find a writer somewhere chatting about their writing day. their techniques, their inspirations – and sometimes, about the sacrifices they’ve made and believe others should make (otherwise these other writers are apparently ‘not real writers’, ‘don’t take it seriously and ‘will never make it’). For years writing magazines and how-to books have been been interviewing authors who can apparently rewrite the Encyclopedia Britannica whilst running for parliament and doing the Three Peaks challenge of a weekend. You know the ones; often they’re middle-aged men who claim they have a full time job but only stop in the evenings to eat dinner before spending the entire evening writing. “And I still churn out two thrillers a year,” they chortle proudly, among casual mentions of three children, two dogs, 5 guinea pigs, a wife and a 3 acre garden; “it’s just a case of discipline.” I’m sure they believe that lesser beings gasp in admiration and/or take an acid-coated flail to their bare backs to alleviate their shame. Well I’m afraid this lesser being does not reach for her flail. Does this literary Colossus, I ask myself, even remember the names of his children? Or guinea pigs? Or the plants in his 3 acre garden? Does he wonder how shirts and suits miraculously appear in his wardrobe, how the house gets cleaned; who sorts out PE kits, makes doctor’s appointments, books the holiday cottage, buys birthday presents for his entire side of the family, attends parents’ evenings, and helps his children revise for their GCSEs? And in 5 years will he wonder why his wife has filed for divorce??! For us ordinary mortals life happens, and unless we have a fairy godmother hovering handily in the wings to sort it out, it’s all down to us. So enough about the intellectual snobbery of writers who declare ‘EVERYBODY has time to write if they can be bothered’. Why hasn’t this writer written for months and not ‘had time’ (don’t gasp, please…it upsets the guinea pigs I don’t have). First I suffered NaNoWriMo Burnout. I was managing my novel, despite trying to blog more, do a finals year degree course, and hold down a job. But after our boiler and two of our loos had a succession of malfunctions, meaning the plumber practically moved in, plus long days spent at the hospital with my daughter (recurring heart/chest problem), I just couldn’t keep up. By Christmas my work hours had increased, my degree course had got harder and life kept on throwing curveballs. So I stopped sending myself on guilt trips (the scenery was awful, for a start) and accepted that, for a while, life just had to be lived; not lived and written about. 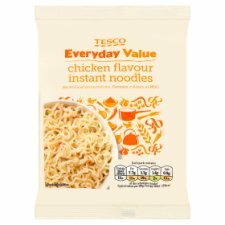 I couldn’t ignore and neglect my family, certainly not for the sake of something that, when all’s said and done, was not currently putting bread (or even Tesco Everyday Chicken Noodles), on the table. So 8 months later, here I am back at the coalface. My son has survived his first year of sceondary school; my daughter has survived her GCSE year despite her health problems; my husband has survived a demanding first year in a new management role; and I’ve managed a first class pass in my Children’s Literature module which means, barring the next course going incredibly badly, this time next year I will be celebrating a First in BA Hons Literature and wearing a funny hat on my head. I’m back from a wonderful holiday of walking, sightseeing and eavesdropping in the beautiful West Yorkshire Dales, with a fresh dose of inspiration. I have several ideas bubbling and have started a serial for Juke Pop Serials, purely because it sounds like an interesting idea and it’s a format I’ve not tried before.